Find out what happens when Alice climbs down a rabbit hole and discovers a very weird world down there. A charming favourite tale to share. 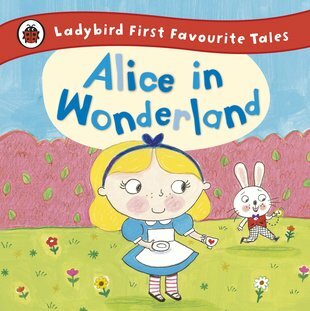 Older readers adore the world-famous Ladybird fairy tales. Now you lucky smaller people can get in on the fun. This lovely picture book is made for reading aloud, with lots of funny rhymes and gorgeous full-page colour art. Quick: beg a story from your favourite grown-up!